Fitness tests used to assess a person's muscle strength, endurance, and flexibility. 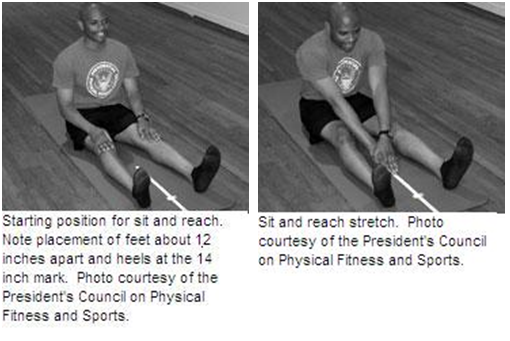 Adult tests include half sit-ups (abdominal muscle strength), standard or modified push-ups (upper body muscle strength), and the "sit and reach" (flexibility). It is recommended that these fitness tests are performed with a partner. 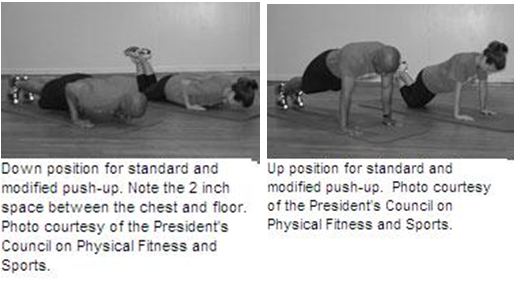 Note: the aerobic fitness test from the President's Challenge is a separate protocol. See the Aerobic Capacity measure. Description: The Standard and Modified Push-Up Test was used with permission from the Cooper Institute, Dallas, Texas 12330 Preston Road, Dallas, TX 75230. Additional information is available at the Cooper Institute website. Description: The Half Sit-Up Test and Sit and Reach were used with permission from Fitness Testing and Assessment Manual, 4th ed. 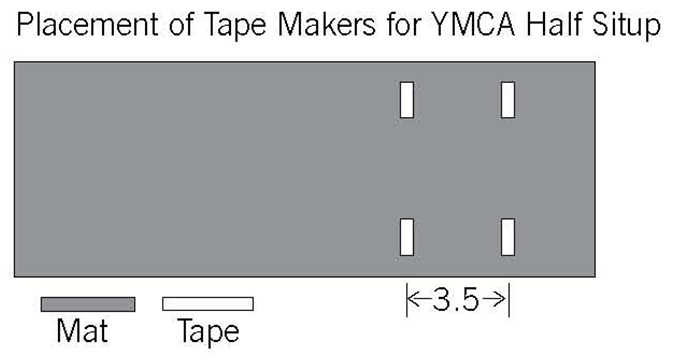 © 2000 by YMCA of the USA, Chicago. All rights reserved. Description: President’s Council on Physical Fitness and Sports. The Presidents Challenge Adult Fitness Test. 2008. 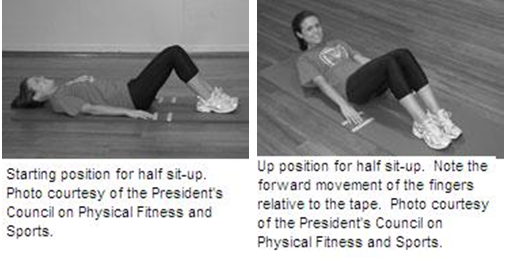 Available at the President’s Challenge Adult Fitness Test website.